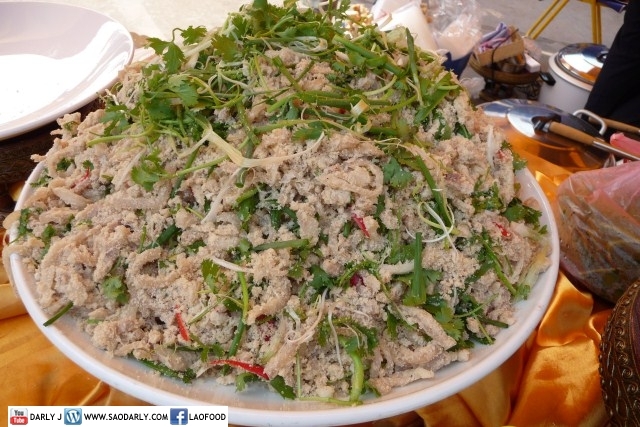 Various dishes representing Luang Prabang Province at the annual Lao Food Festival in Vientiane, Laos. The festival is hosted by the Lao Business Women’s Association in cooperation with the Lao Women’s Union. Some of the well known dishes from Luang Prabang are Or Lam (Lao Stew), Jeow Bong (chili dipping sauce), Khai Pan (Mekong River Weed), Miang Muang Luang, Miang Nung Moo or Moo Naem, and Luang Prabang Sausage.